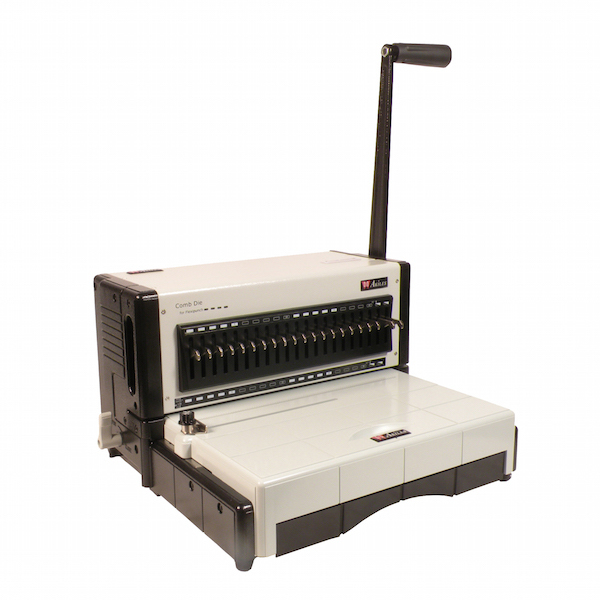 FlexiPunch-M is an innovative modular punching machine with manual operation and an affordable price that gives you the binding options you need in everyday work. You can do a coil binding job, and moments later squeeze in a wire or comb binding project using the same primary punch. The high-quality precision die sets available with this machine will last for years of production. One die of your choice is provided with the unit.